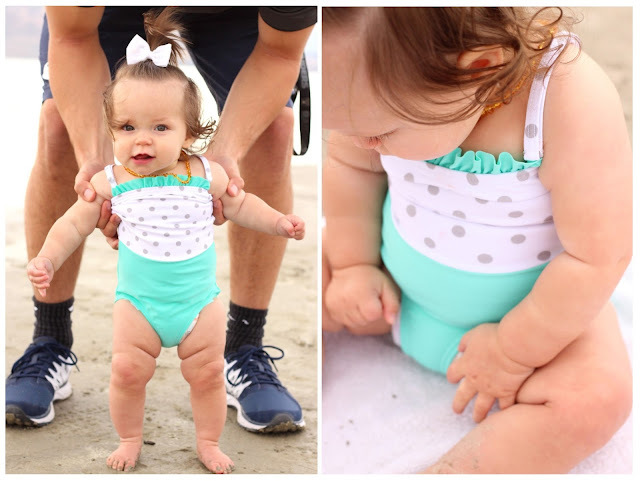 Rad Swim + Promo Code! | For the Joy of Life. I have been SO giddy about finally publishing this post as I've kept it on the down low until my camera was finally fixed! 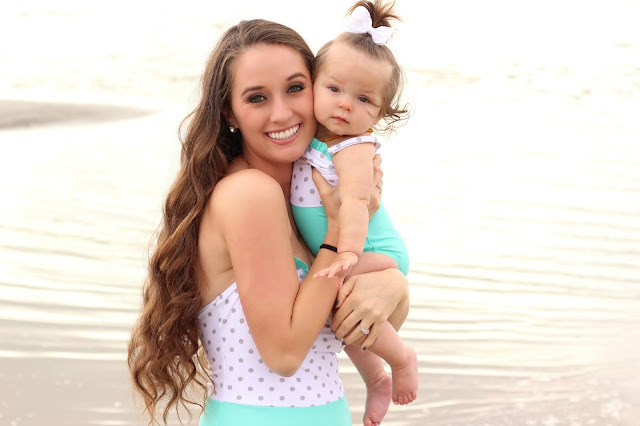 I've teamed up with Michelle (nicest person ever) over at Rad Swim to give all of my awesome followers an AMAZING promo code on even more amazing swimsuits! I honestly have nothing bad to say about these suits and this company in general. 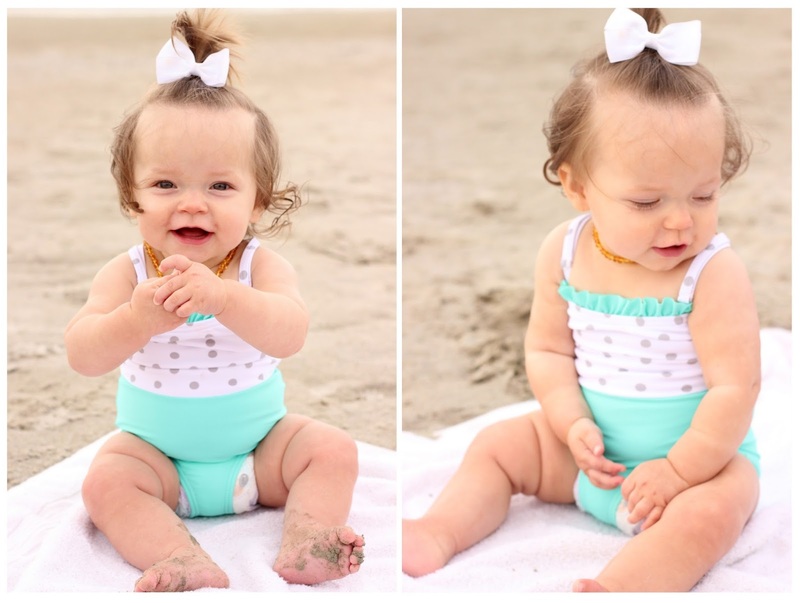 I love these swimsuits SO much and I wish it was acceptable to have Oaklyn wear her mini suit every single day! My whole experience working with Michelle has been so easy going and wonderful. She was so helpful and fun to talk to. Not only that but our suits arrived in the mail only two days after she told me she shipped them. I was blown away by that. TWO DAYS! I was beyond excited to open the box but my excitement only grew when I took the swimsuits out of the packaging. They are great quality and so incredibly adorable. 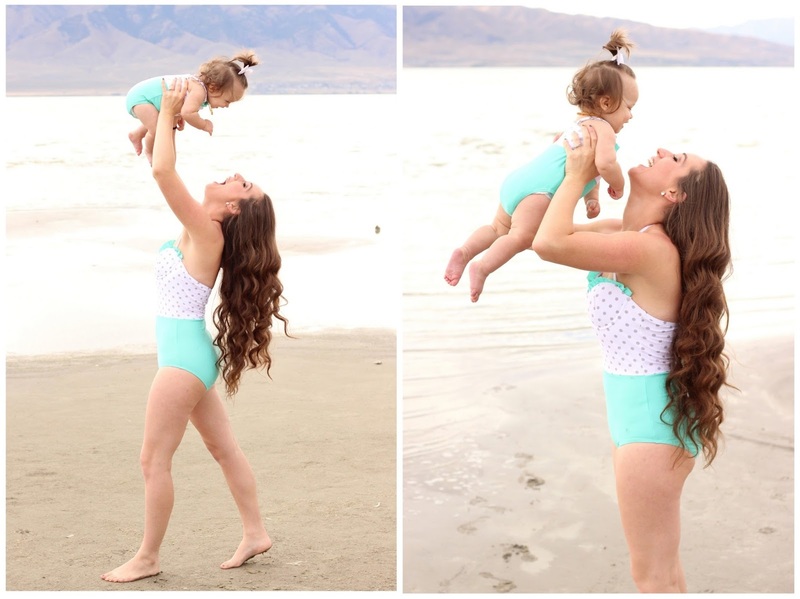 I've had a really hard time finding a bathing suit I love with my postpartum body (aka my chest) and this suit fits like a dream. 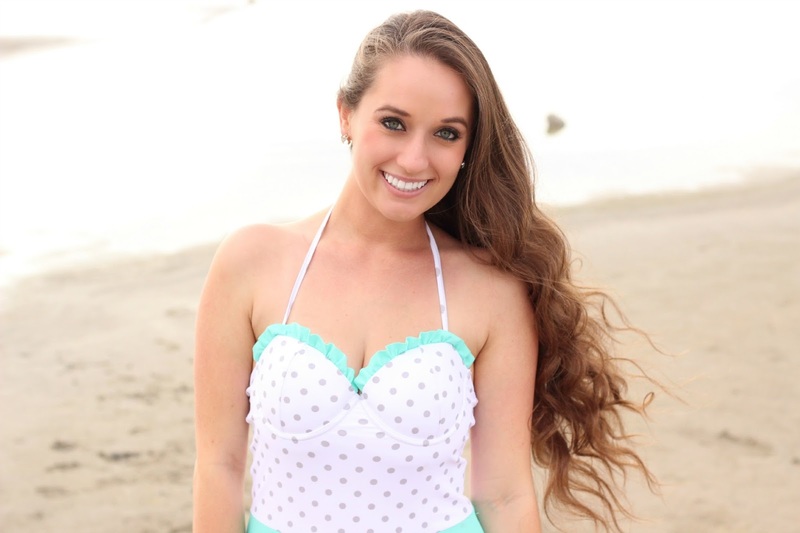 Michelle is the owner of Rad Swim and a super awesome (and talented) person! Here's a little about her and why she started her company. 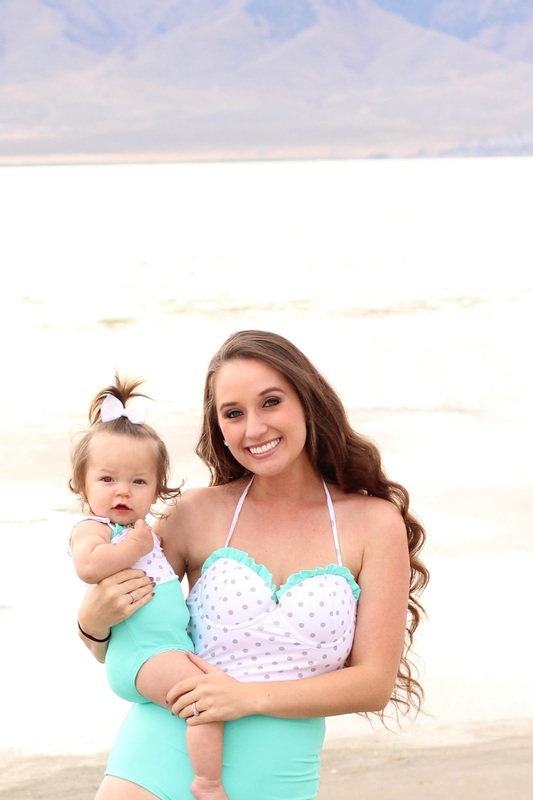 "I am a mother of 4 girls (my favorite job), and live in Draper, Utah. Rad Swim is a new company (I sold first swimsuit in January :). I really can't believe it's grown this fast! 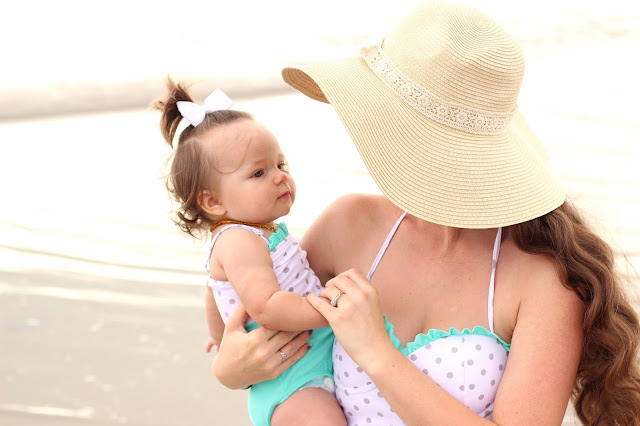 It all started because I felt strongly inspired to create swimsuits for women that are modest, classy, comfortable, and affordable. I became super passionate about it and couldn't stop thinking and dreaming about it. 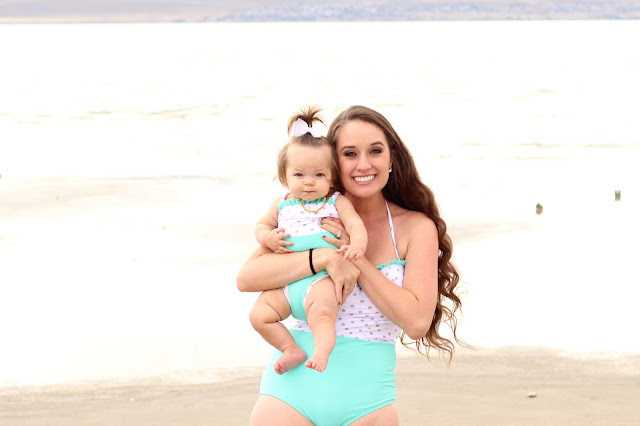 I feel very blessed that it has come so far, and am grateful for all the people who have helped me along the way "
I just really love everything about this company and love that she has created swimsuits that look and feel great. Lucky for all of you, you can get one too! Head on over to Rad Swim's website and use code "aleighjoymoore" to receive 40% off! I can't get this coupon code to work. The top says March 2, 2016 so I am within the week deadline but when i enter it it says no items in my cart apply.